A continuing feature of our time with the Virage has been water entering the fuel tank. Clearing the water out of the tank is documented here, but a better fix is to stop water getting in in the first place. Water typically gets in when the car left out overnight, or for a prolonged period during heavy rainfall. If you have to do this, try to park facing uphill, so the water will drain out more easily. But the best method of all is to tackle the root cause. The original design of the filler cap is seriously flawed. 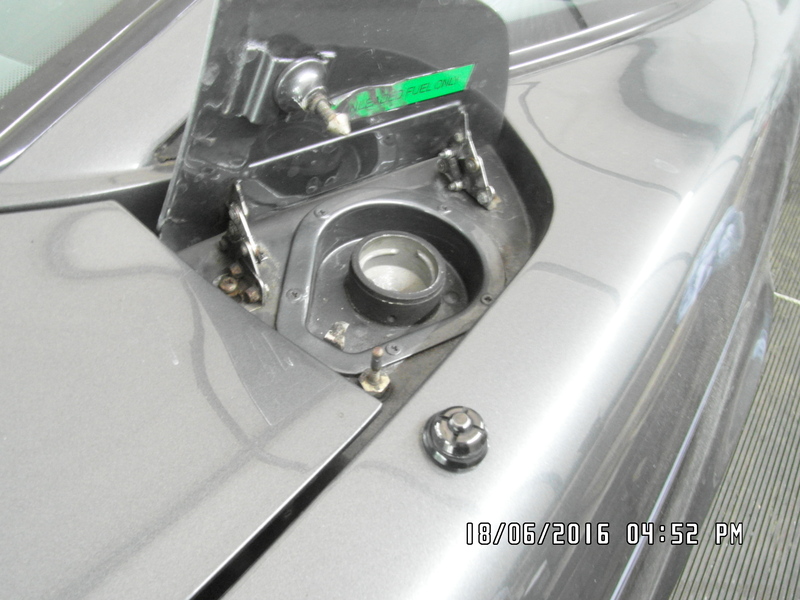 The filler cap and tube sit in a well, which is covered by the filler flap. The flap is not waterproof, and the drain tubes in the well are narrow and easily clogged. In addition, the top of the filling tube is below the top of the well. In heavy rain water has to rise only a matter of a few centimetres before it enters the filling tube, and the problems start. 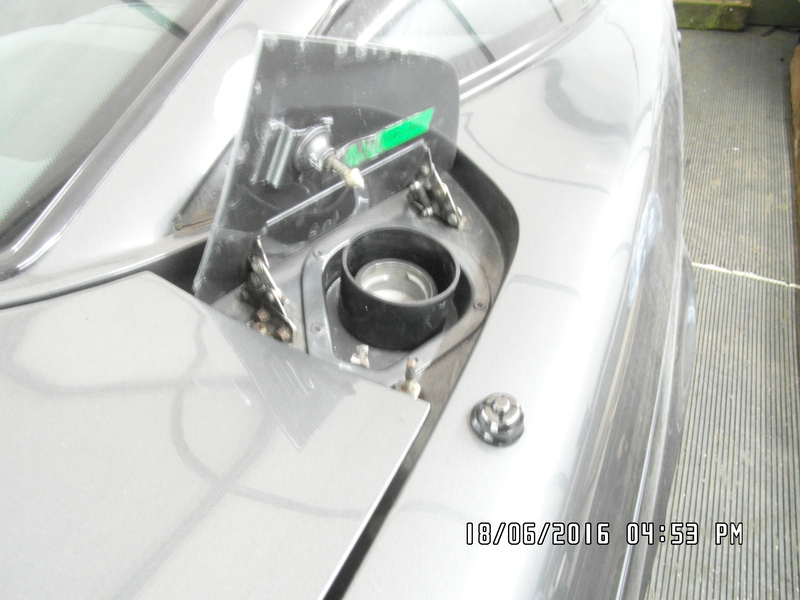 G has come up with a brilliantly simple but very effective mod to prevent water ingress to the petrol tank in rain. 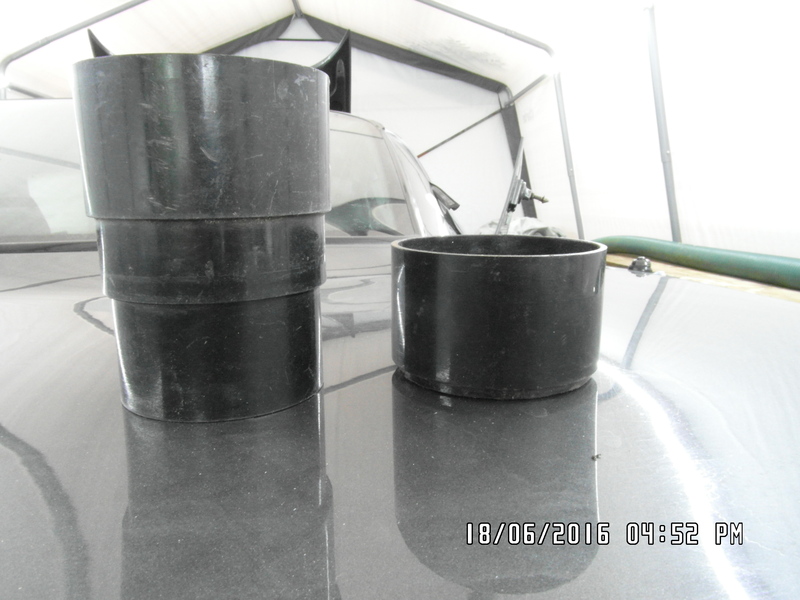 It involves cutting a piece of 68mm drainwater pipe to size(see below) , and then bonding it to the base of the filler cap well with Sikaflex ,Tiger Seal or similar PU adhesive. 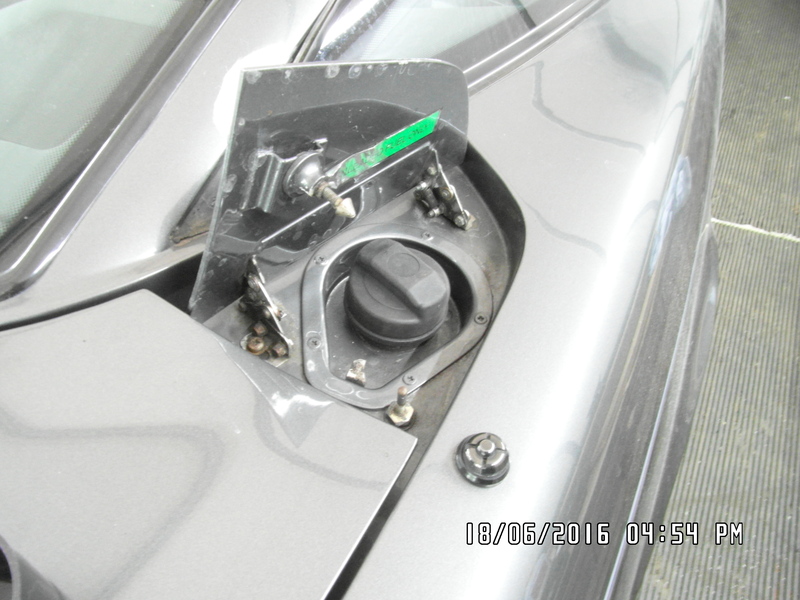 The new arrangement takes the level of the filler opening above the top of the well, so that excess water flows out over the well and into the drain channels in the boot before getting to the fuel cap. The attached photo shows the end result. Since this brilliant fix, we’ve had no more water ingress problems.